Environmental educators often adhere to a relatively narrow theoretical paradigm focusing on changing attitudes and knowledge, which are assumed to foster pro-environmental behaviors, which, in turn, leads to better environmental quality. This book takes a different approach to trying to understand how environmental education might influence people, their communities, and the environment. The authors view changing environmental behaviors as a «wicked» problem, that is, a problem that does not readily lend itself to solutions using existing disciplinary approaches. 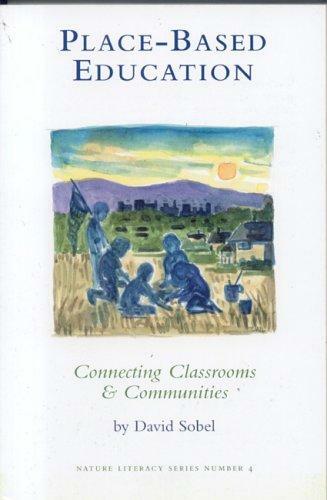 The book as a whole opens up new avenues for pursuing environmental education research and practice and thus expands the conversation around environmental education, behaviors, and quality. 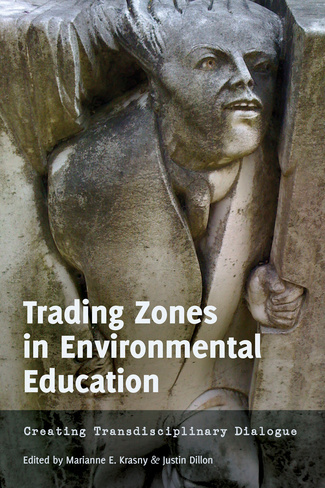 Through developing transdisciplinary research questions and conceptual paradigms, this book also suggests new practices beyond those currently used in environmental education, natural resources management, and other environmental fields. Contents: Marianne E. Krasny: Introduction. Tales of a Transdisciplinary Scholar – Joseph E. Heimlich/Mary Miss: Art and Environmental Education Research: Reflections on Participation – Jeppe Læssøe/Marianne E. Krasny: Participation in Environmental Education: Crossing Boundaries under the Big Tent – Martha C. Monroe/Shorna Broussard Allred: Building Capacity for Community-Based Natural Resource Management with Environmental Education – Scott Peters/Arjen E. J. Wals: Learning and Knowing in Pursuit of Sustainability: Concepts and Tools for Transdisciplinary Environmental Research – Barbara A. Crawford/Rebecca Jordan: Inquiry, Models, and Complex Reasoning to Transform Learning in Environmental Education – Joseph E. Heimlich/Mary Miss: Art and Environmental Education Research: Reflections on Appreciation – John Fraser/Carol B. Brandt: The Emotional Life of the Environmental Educator – Leesa Fawcett/Janis L. Dickinson: Psychological Resilience, Uncertainty, and Biological Conservation: Junctures Between Emotional Knowledges, NatureExperiences, and Environmental Education – Joseph E. Heimlich/Mary Miss: Art and Environmental Education Research: Reflections on Place – Timon McPhearson/Keith G. Tidball: Disturbances in Urban Social-Ecological Systems: Niche Opportunities for Environmental Education – Richard C. Stedman/Nicole M. Ardoin: Mobility, Power, and Scale in Place-Based Environmental Education – Marianne E. Krasny/Megan K. Halpern/Bruce V. Lewenstein/Justin Dillon: Conclusion. Do «Arranged Marriages» Generate Novel Insights? In recent years ‘place-based education’ has been receiving increased attention from educators and policy-makers as a means to help people, young and old, re-connect with the physical, material and socio-ecological world they, oftentimes unknowingly and unconsciously, inhabit. There is a whole body of scholarly work emerging that suggests that (re)discovering and (re)connecting with place can be restorative (therapeutic, healing, etc. ), generative (leading to new ways of seeing, sensing, experiencing) and empowering by enabling people to shape and care for a place. Apparently there are a number of psychological, sociological and pedagogical benefits associated with place-based education (see the work of David Sobel and Greg Smith for examples). What I am interested in, however, is not so much to echo these benefits but to mirror them against a hegemonic trend that affects the entire globe: the exponential growth of highly invasive and, indeed, addictive hyper media and associated information and communication technologies. Whereas place-based education, somewhere in the margins of education, seeks to reconnect people with the physical space around them, this counter hegemonic trend seems to do the exact opposite, only in much more forceful way. Educators in general and environmental educators in particular need to ask themselves what the implications are of the age of wireless, hyper-media and ICT for teaching and learning, but also for the way people ‘relate’ to each other but also to nature and the planet as a whole. Strangely, even though educators themselves are also inundated by these new ICTs both in their personal and professional lives, this question has hardly been raised so far. I’d like to propose a Special Issue for a journal like Environmental Education Research to bring together some of the early and emerging work that is being done in this area. Some contributions may consider the impact of ICTs and hypermedia on people’s sense of place and the implications for teaching and learning. Others perhaps will sketch possible educational responses that may critically take advantage of elements of the ICT revolution which can help re-store the current disconnect between people and place. Again others may wish to explore yet a different angle to this timely topic in education and learning. Anyone with ideas for papers that might fit in such a special issue… feel free to respond. Perhaps we can pull something together.